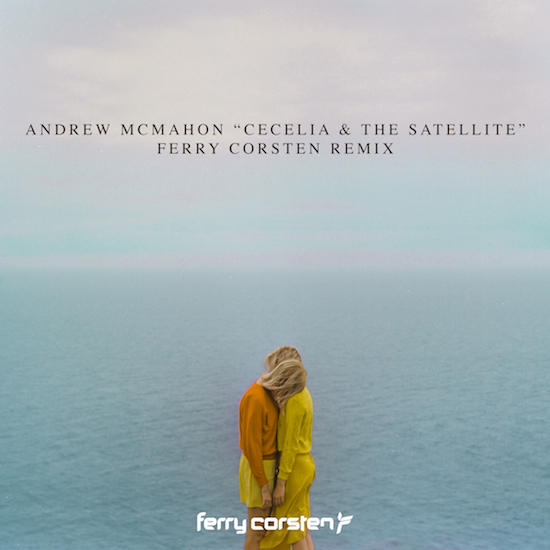 Andrew McMahon in the Wilderness has shared Ferry Corsten’s remix of his Top 15 Alternative Chart topper “Cecilia and the Satellite”. The track merges Corsten’s singular trance sound with Andrew’s soaring vocals for a shimmery dance jam that opens into the original’s inspiring chorus. McMahon’s self-titled album, Andrew McMahon in the Wilderness, is out now on Vanguard Records. The disc had smashing Top 5 debuts upon release where it was #2 on the iTunes Alt Albums chart, #3 on the Billboard Indie Albums chart, #4 on the Billboard Alt Albums chart and #5 on the Billboard Rock Albums chart. Andrew McMahon in the Wilderness will also play several festival dates along with some one-off shows this summer, including Big Guava Festival and Firefly. All current tour dates are listed below.